These are attached by tabs on the sides; they come in many different varieties including plastic and cloth. The cloth briefs are preferred in public because they make less noise. Pull-ups are much more convenient for an active person as they can be easily taken on and off during the day, such as going to the bathroom. 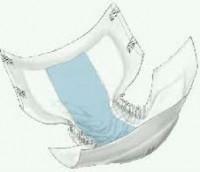 Reusable adult diapers are great for light incontinence and can be washed and dried along with regular garments. They are worn much like a normal pair of underwear and contain a pad. Order your adult diapers online through DiaperFetch and have them delivered to your door for free!